Umbrella Insurance | Insurance Concepts & Risk Mgmt. Umbrella insurance is a great way to protect you or your business when you need more than one type of coverage to make sure you are covered in all instances that may affect you. Sometimes an incident occurs, and it doesn’t fall under the scope of your existing policy, this is a case in which it might be beneficial to look into umbrella insurance as an option. Personal umbrella insurance is useful when something incredibly devastating happens and your personal insurance won’t cover the damages. Personal umbrella insurance can be helpful is you are involved in a major accident but your personal auto insurance policy has reached its limit and won’t cover extensive damages. This is when your personal umbrella insurance would come into play and keep you protected. Although personal umbrella insurance is meant as a way to protect you in incidents that fall outside the norm, it does not cover absolutely everything. If you are the cause for damages to someone else’s property, it can be used to help cover these expenses. However, it does not cover damages that are caused by you to your own items. It also does not cover you in the case that your belongings are damaged in a criminal situation caused be your own doing. Personal umbrella insurance also does not cover you in the case that you enter into a contract with someone and you are liable for any damages. Commercial Umbrella Insurance is important for business owners because it can protect them against claims that could potentially ruin their business. If a business has commercial insurance but they are involved in a situation that has extensive claims or damages, commercial umbrella insurance can be very useful in protecting the assets of your business. One major way commercial umbrella insurance can be of great use is if your business is involved in a legal dispute. It can provide additional protection if you are liable to pay for legal fees or medical expenses that extend beyond the limits of liability insurance. The size of your business is a big part of what kind of commercial umbrella insurance policy you should adapt. If you are the owner of a larger business, there may be more risk that you will need more coverage and vice versa with a smaller company. The type of business you handle is also a factor when determining what limits to put on your policy as this be used to cover anything your liability policy does not cover. If you are involved in a business where people are doing more manual labor, for example, you may want to invest in a higher policy limit than a business that mainly works in a commercial office building. 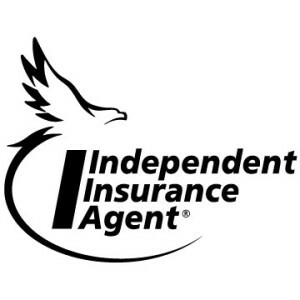 Insurance Concepts & Risk Management is based out of Scottsdale, AZ and we will help you or your business determine what kind of umbrella insurance policy is the right one to make sure all your needs are covered. Contact us today.